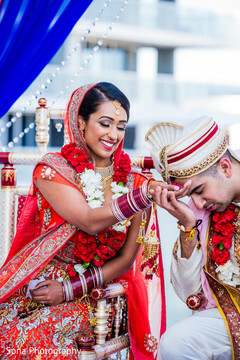 The sky was blue and the weather was perfect for this gorgeous outdoor Indian wedding at The W Hotel Ft. Lauderdale. As a destination wedding for this NY couple, the couple was surrounded by the love of close family and friends. There were so many sweet moments during their ceremony, so make sure you click on the link above to see more from their wedding.